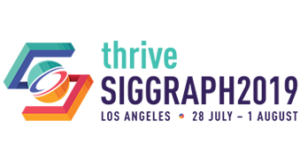 The SIGGRAPH 2018 Art Gallery explores the theme of Original Narratives. This dialogical space enables us to reflect on the roots of our diverse cultural values and rituals through contemporary creative practices. The Audio Guides are the voice recordings of the Art Gallery contributions in different languages! Special thanks to: Mako Ueda (Japanese), Muhammad Arief (Japanese), Santiago Echeverry (French), Aruquia Peixoto (Portuguese), Andres Zamudio (Spanish), Rick Xu (Mandarin), Patience Lee (Cantonese), Juyeon Hong (Korean), Jihed Jaouabi (Arabic), Jessica Sommerville (English), Bektur Ryskeldiev (Audio editing), Kim Baumann Larsen (Audio editing).